It has been just a few short weeks since the release of CTP 2. Today I’m pleased to announce the release of DotNetNuke 6.2 Beta 1. This marks a tremendous milestone in the development cycle of DotNetNuke 6.2. While we still have more work to do, Beta 1 includes all the major features that will be included in the final release. DotNetNuke 6.2 has many new features and options that you won’t want to miss. What’s New in DotNetNuke 6.2 Beta? We have several new features and improvements ready for you check out. I’ve provided just enough details below to help you get started, but you’ll really need to download the Beta and experience everything for yourself. DotNetNuke has always had a very flexible and robust registration system, but there was also room for improvement. 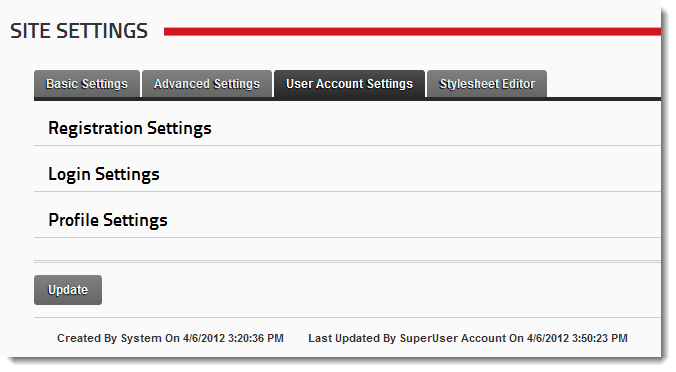 The settings have been moved from the User Accounts section over to Site Settings. We’ve also made it very easy for you to customize the registration form in a manner that will meet the needs of most use cases. Want to register with just an email address? We have a setting for that! Look for another blog early next week that explains all the various options. This particular feature has the potential for making DotNetNuke really standout from the rest. Think about having a central location where you can manage the various workflow tasks that require you to jump from page-to-page in your site. For the Beta release you will be able to see how this works for managing Friend requests, but it won’t be long before other modules integrate with the Message Center and start making your life easier. If you are module developer and want to offer something different than your competition, get started with Notifications now! The journal has had few minor updates. The one change that you will see is that we’ve added some additional default journal types. You also have the ability to customize the journal view by selecting which journal items you would like to have displayed. We have also added some additional API methods that will make it easier for 3rd-party module developers to interact with content they create for the journal. Expect more detailed documentation and a couple sample modules early next week. Here’s a hint. 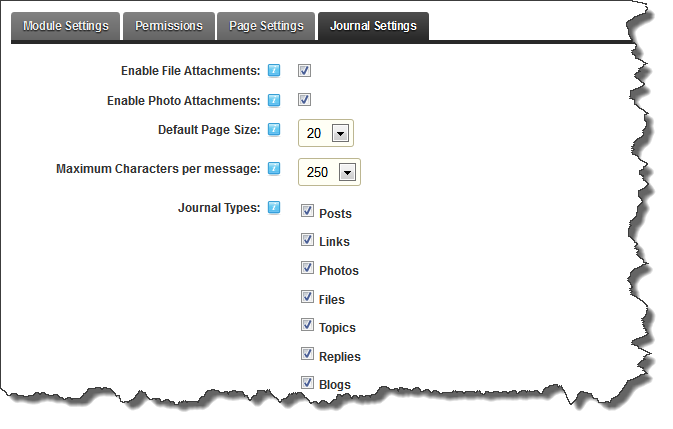 We wouldn’t have added journal types for Blogs, Topics and Replies if we didn’t have a module that will use them. Social Groups is one of the features that is still coming together. In CTP 2 we learned that the Social Groups module really wasn’t that user friendly. We have restructured the module so that it is easier to setup and also offers more flexibility for use within your site. We have also fixed several bugs related to filtering of Social Groups. 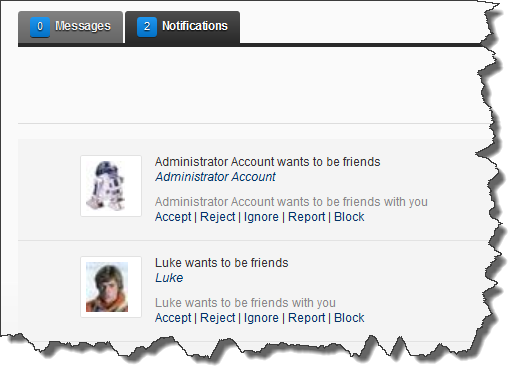 You will also find custom permission options that will help you manage who can create and moderate groups. Provide Feedback and you could a $100 Amazon Gift Card! Give us your feedback and enter to have a chance to win a $100 Amazon Gift Card! We will be looking for some very specific feedback. You will need to download the Beta in order to answer the questions. Make sure you test out the modules listed above. Learn more DotNetNuke 6.2 Beta Feedback and how you could win a $100 Amazon Gift Card. What If I Find a Problem? If you happen to have issues with the Beta, the first thing you should do is check the known issues list in the DotNetNuke Beta Forum. We will do our best to keep this list as accurate as possible. If you have found a bug that you can reproduce, we ask that you please create the bug report in our Bug Tracker. If you have questions about functionality or how to do something, please post your question in the Community Exchange. For all other feedback and discussions please use the Open Core Testing Forum. If you aren’t sure which one to use, just use what is most convenient for you. We’ll be looking for feedback everywhere! 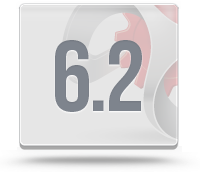 Download DotNetNuke 6.2 Beta and start using the product. We are looking forward to your feedback!